Spend less time managing plans and more time fishing. Select who you want to invite and share in your next fishing trip. Coordinate and plan your fishing strategies together. Trip participants get a private chat forum to discuss the trip plan and details. No need to send emails or text messages using other applications. 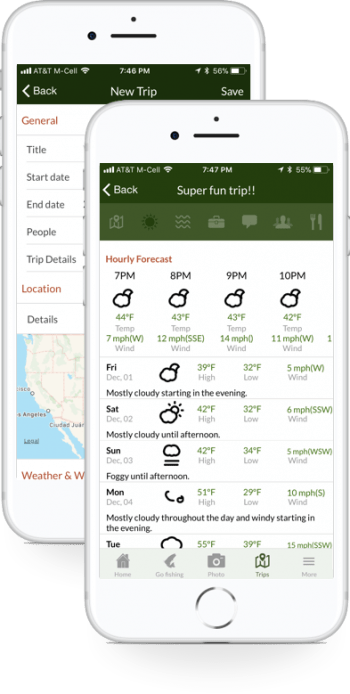 Trip gallery and report features enable, automated and manual options to share photos and fishing journal data between the trip participants. Keep track of your fishing time on the water, and learn from your observations. Choose to share, or keep it all private. The more data you capture the more you can learn and automated data gets you back to fishing faster. Learn to see patterns in all that data, and repeat techniques and use lures that correlate to fishing successes. Privately share select photos and data with fishing buddies only, or quickly push photos to Facebook or Instragram. Professional web design meets fishing guide developed features in our GuideServices platform. Bundled features align to Guide, outfitter, and other fishing product and service business needs. GuideSite templates give you the pages needed to market your business, manage site content easily, sell your products and services, and grow your brand. Larger businesses will be interested in our GuideOps service to help support your operations. 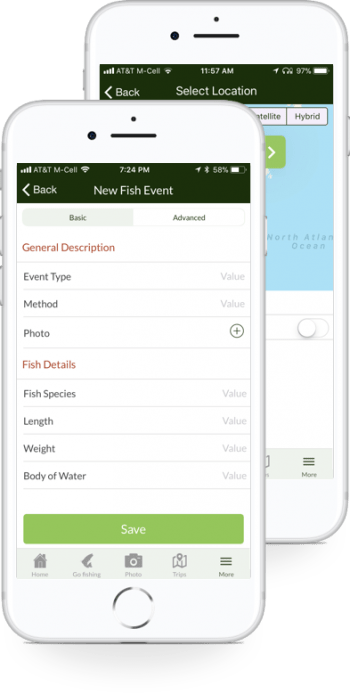 Using the Rippled Waters personal app enables you to link fishing photos and data quickly to blog content, reports, and other business needs. Guides will appreciate having access to realtime conditions, historical data, and a tool for communicating and sharing with both clients and peer guides. We have something for Individuals, Guides, Clubs or Groups, and other commercial fishing interests.